Mother Nature is simply wonderful. If you look closely, you will find a number of seemingly everyday foodstuff that you can use for naturally healthy skin. Check out our favourite 7 unexpected natural ingredients for healthy skin and tips on how to use them. You might be surprised to find that you probably have some of these ingredients sitting in your kitchen cabinet right now. The staple diet of South East Asia provides more than just a fulfilling meal. It can also help give you amazing skin. Rice (Oryza sativa) is one of civilisation’s oldest grains and have been grown for thousands of years. Nutritionally, it is rich in minerals such as magnesium, iron, selenium and folic acid. White rice is the polished version of brown rice - this means that brown rice is nutritionally denser as it retains its bran and germ. In fact, the bran and germ of the rice grain is the most nutritious part of rice, so it’s a pity that they are being polished off in the production of white rice. The vitamins in rice can help firm up skin, maintain skin’s suppleness and help reduce fine lines and wrinkles. Rice has also been shown to naturally brighten the skin and even out dark spots and pigmentation. It’s no wonder rice remains a popular beauty ingredient in Asia! Rice bran oil, extracted from the bran and germ of rice is the perfect moisturiser. It comes packed with antioxidants, Vitamins B & E and essential fatty acids. A fast absorbing and light oil, rice bran oil can be a blessing for those with oily skin as it absorbs quickly into the skin and doesn’t leave behind oily patches. Another beauty ingredient you can use from rice is rice water. Rice water has been used on skin for centuries, not only to clean the face but also to bathe in. When applied to skin, it can help to soften and moisturise skin while reducing inflammation caused by acne and eczema. Making your own rice water is unbelievably easy - just take rice (preferably brown) and add enough drinking water so that the rice grains are covered by 3-5 cm of water. Let it sit for 15-30 minutes and strain the rice while reserving the water. Bottle the rice water in a spray bottle. The rice grains can then be cooked, so nothing goes to waste. Your rice water can be used as a facial cleanser, toner or to soothe inflamed skin caused by acne, rashes or sunburn. To use, simply spray directly on to skin or apply using a cotton ball. Do note that the rice water will start to smell slightly sour after a few days - this is a fermentation process which actually provides even more skin-loving benefits, so don’t throw this precious water away! Use within 7 days. We sip green tea for its calming effect and antioxidants, but did you know that it also has the same benefit for your skin? Green, black and oolong tea all come from the same plant - Camellia sinensis. 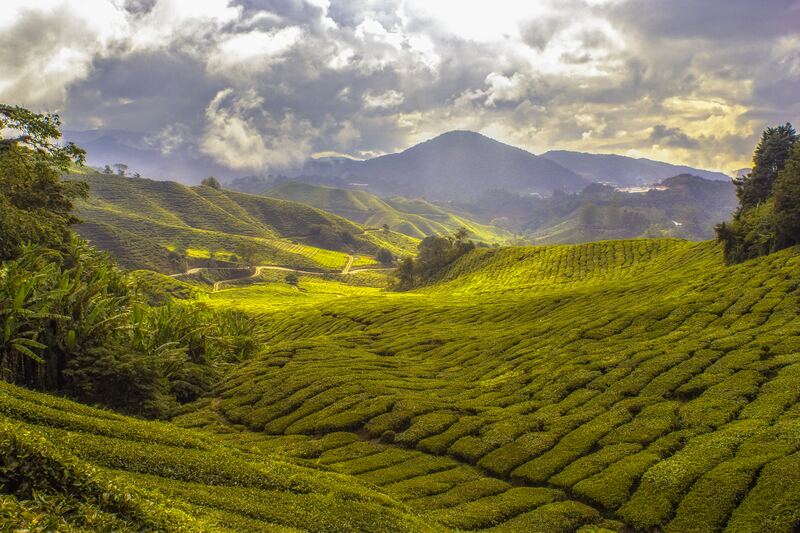 But unlike black tea, fresh tea leaves are used in the production of green tea, leaving its antioxidants intact. This is important because antioxidants help our body fight free radicals which can cause cell damage and diseases. In Asia, where tea has been prescribed as medicine for health problems, it’s no surprise that green tea is also used to help with skin conditions. The antioxidant in green tea can help to reduce inflammation, reduce damage caused by the sun and even help to slow down ageing. Green tea can be used directly on to skin in the form of toners or blended into homemade masks. If you’re looking to perk up tired or dull eyes, save the tea bag from your cuppa and cool them down in the refrigerator. Place under your eyes for 5-10 minutes. The caffeine from green tea will stimulate blood circulation and reduce puffiness. Another easy way to incorporate green tea into your skincare routine is by using camellia seed oil. Extracted from the seeds of the tea plant, camellia seed oil is rich in Vitamins A, B and E - making it the perfect ingredient for soft, supple skin. With its high Vitamin E content, camellia seed oil can also speed up the healing of wounds, cuts and bumps while reducing the risk of infections and preventing scarring. Camellia seed oil has a fast/medium skin penetration rate - which means that the oil absorbs relatively quickly into the skin. This makes it suitable as a facial moisturiser, especially for those with combination skin types. Not only that, camellia seed oil can also help strengthen nails when applied to fingertips regularly. The sight of coconut trees alone are enough to conjure up dreams of escaping to a tropical island paradise. And coconut trees make up a big part of tropical societies, where every part of the tree is put to good use. Just the coconut fruit alone can be used for hydration, rope manufacturing, charcoal and even extracted for its oil. The importance of the coconut (Cocos nucifera) is most evident in Ayurvedic medicine, which calls on the milk, water, cream and oil as treatment. Virgin coconut oil is extracted from the flesh of ripe coconuts, without the use of any heat, to protect its nutritional properties. This cold-pressed oil not only smells delicious, it is also packed with medium chain fatty acids (MCFA) – the key component that is responsible for the many benefits of virgin coconut oil. When applied to skin, it can help to reduce inflammation, protect from infections and is intensively moisturising. This makes it the perfect weapon against skin problems such as dermatitis, eczema, acne and dry skin. One of only a few oils with the ability to penetrate into the hair shaft, virgin coconut oil can also be used to help treat dry, damaged hair as well as flaky, itchy scalp. Coconut water is rich in Vitamins A and C, and can be beneficial when applied to the skin. Spritz coconut water on to cleansed skin or add it to homemade masks. Benefits include protecting skin from UV damage, reducing pigmentation and dark spots as well as calming inflamed skin. 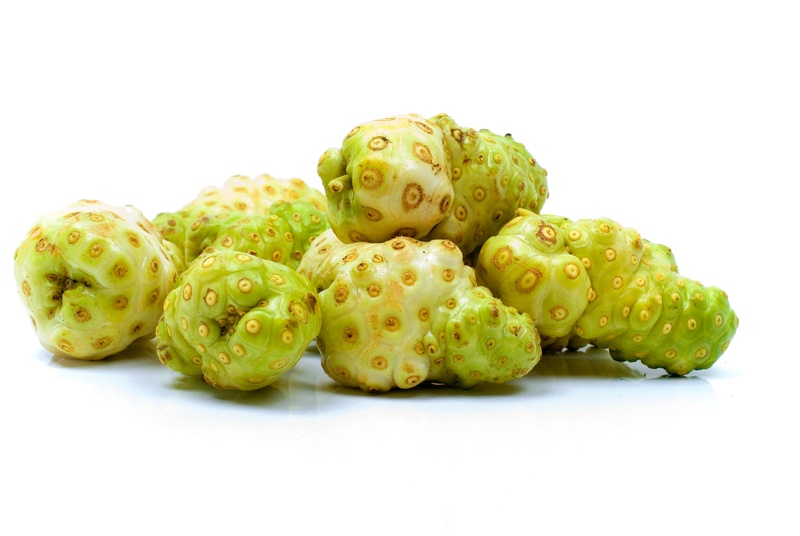 Noni (Morinda citrifolia) is probably a plant most of us have never heard of. An evergreen tree native to South East Asia, the noni fruit is famed for its high antioxidant content - one of the reasons why it has been used for centuries by the local community. Despite the fruit’s pungent aroma, it is an important medicinal plant in regions as wide-ranging as South East Asia, India, Australia, Polynesia and Hawaii. Just like the coconut tree, the noni tree serves up a variety of uses. The leaves are wrapped in hot stone to relieve stomach pains, adding the ripe fruit to your diet can help move the bowels while topical application of noni juice can reduce inflammation. The tree’s roots and barks were traditional sources of fabric dyes and this method is still being used today. Noni’s high antioxidant values make it effective in reducing inflammation on the skin, such as those caused by acne, eczema or psoriasis. Studies have also shown that the noni fruit contains tyrosinase inhibitors, which can help reduce pigmentation and slow down ageing caused by overexposure to UV rays. The noni fruit is also rich in anti-microbial properties and can be used to help keep infections at bay. Unless you live in the tropics, fresh noni fruit is difficult to come by so getting your hands on bottled noni enzyme or supplements might be a more realistic option. Due to its strong smell, noni should be used in small doses - but a little goes a long way here! The easiest way to apply noni would be to blend it in with your skincare products. If you’re looking for noni-ready personal care products, check out our product range - which incorporates our very own Biconi Noni Enzyme. Another ancient plant, Aloe Vera (Aloe barbadensis) is a succulent that originated in Africa but is now regularly found around the globe due to its medicinal benefits. It has been reported that the original beauty icon herself, Cleopatra, uses aloe as part of her beauty routine. It is best known for its gel, which is extracted from aloe leaves. The aloe gel is primarily made up of water and consists of over 75 active constituents such as vitamins, minerals and enzymes. This clear, cooling gel is frequently applied topically to help soothe and heal wounds such as sunburns, burns and rashes. Not only that, applying aloe gel on the skin can increase collagen production, which in turn can help reduce the appearance of scars. Stimulating collagen production can also help the skin retain its elasticity and bounce to keep wrinkles away - while the amino acids in aloe vera help to soften skin for a smooth touch. Aloe vera can be applied directly on to the skin or mixed in with your skincare products. Fresh aloe leaves can be purchased in the supermarket or you can simply grow your own - they’re so easy to take care of, you won’t need much of a green thumb. But there are a few precautions you should take when including aloe vera into your skincare routine. Aloe leaf is made up of primarily gel but just beneath the green outer skin is a yellow-coloured latex. This latex is a well-known and potent laxative and is in fact harvested for the production of laxative products. When applying aloe gel to your skin, it is best to remove the outer skin to prevent your body from reacting to the latex. It is also recommended that you use aloe conservatively, as overuse may cause redness, burning and stinging on the skin. If in doubt, be sure to do a small patch test first to see if your skin will react. Turmeric (Curcuma longa) is a bright yellow spice that belongs to the ginger family and is native to South and South East Asia. Traditionally, turmeric has been used for cooking, especially in curries, in Traditional Chinese Medicine and Ayurvedic treatments as well as a food colouring agent. Its long list of health benefits include antioxidants, anti-inflammatory, speeding up healing, promoting brain health and protecting your brain from neurological diseases. When used on the skin, it has been known to help balance sebum production to prevent oily skin, help with controlling flare-ups caused by eczema and psoriasis, reduce scarring from acne or pregnancy stretch marks and counter the effects of ageing. Turmeric is available as a fresh root, dried or in powder form. 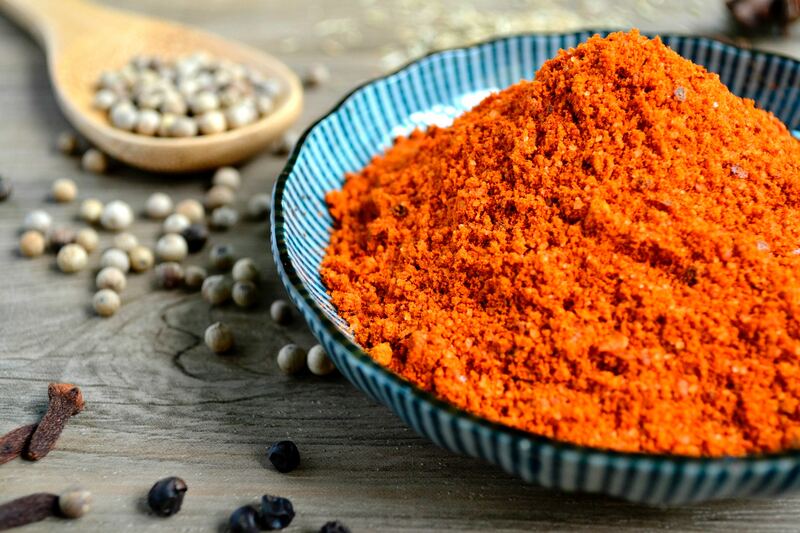 The beauty of incorporating turmeric into your daily skincare routine is that it can be effective when added to your diet or applied directly on to the skin. The easiest way to use turmeric for skin would be to make it into a paste by mixing a small amount of turmeric powder with yoghurt, virgin coconut oil or water. Apply on to skin for 15-20 minutes before rinsing off. Beware though, that its bright yellow colour can stain your skin (temporarily) and clothes (permanently) so take some precautions to avoid making a mess. Mixing turmeric paste with yoghurt or coconut oil can help reduce staining too. You can easily remove turmeric stains from your skin by using a gentle toner, cleansing your skin with coconut oil or milk. If this sounds like too much work, then consider adding turmeric to your diet instead - it’s the perfect excuse for making curry! Turmeric is also great for giving rice, soups and stir fries a beautiful golden yellow hue. Or consider adding it to your smoothies, salad or scrambled eggs for an extra boost of antioxidants in every dish. Mother Nature’s most natural sweetener, honey is not only sweet - it comes with a long list of health benefits too. 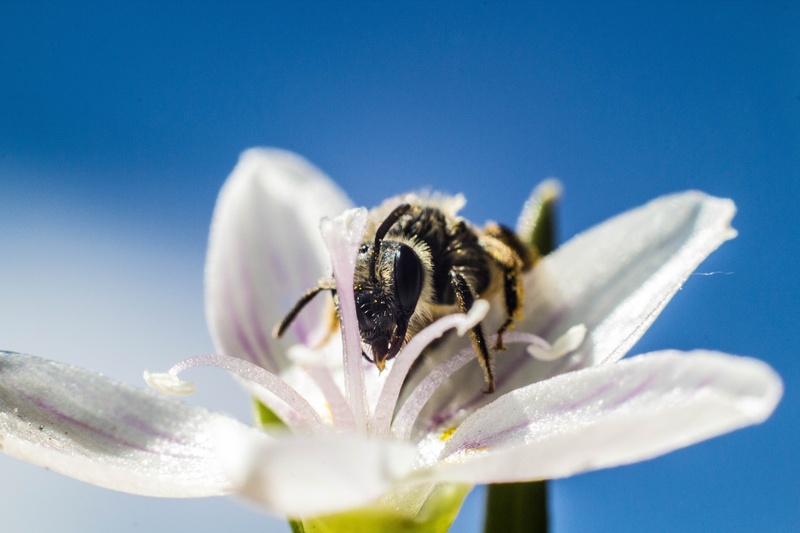 Made from flower nectar by honeybees and stored as food in their hives, honey’s taste, smell and colour is determined by the bee’s local surroundings and the flowers they visit. To make a jar of honey (about 450g) requires the effort of over 60,000 honeybees! Because of its chemical makeup and low moisture content, honey has an indefinite shelf life. This means when honey is stored in the right condition (in an airtight container away from direct sunlight) it can last an eternity. Archaeologists have discovered honey in ancient Egyptian tombs that are completely edible despite being thousands of years old. Although high in sugar and low in nutrients, honey’s secret power lies in their bioactive compounds and antioxidants. On top of that, honey also has anti-microbial properties to prevent infections from bacteria, yeast and fungus. When eaten, honey can help protect you against cancer, heart diseases, infections, speed up wound healing as well as soothe cough and throat irritation. With its antioxidant and anti-microbial properties, honey is nature’s solution to treating wounds. To avoid a sticky mess, spread the honey on to a dressing and apply the dressing to the wound. Acne sufferers can also benefit from honey's anti-bacterial properties - simply apply pure honey on your face as a mask and leave for 20-30 minutes before rinsing off. Or deal with pesky spots by applying a tiny dab of honey over the affected area and leave overnight. You can also add honey to your bath to soothe and protect dry skin. Be sure to only buy pure honey from reputable sources to ensure that the product has not been adulterated with colouring agents, artificial sugars or other additives. Raw, pure honey provides you with maximum medicinal benefits but should be used with caution if you have a young baby. Unpasteurised raw honey may contain bacterial spores called Clostridium botulinum, which can grow in an immature immune system like that of a young infant. This can cause infant botulism, a rare but potentially fatal illness in babies below 12 months and is therefore, best avoided until your child is at least a year old. The secret to naturally healthy skin isn’t so elusive after all - most of the ingredients we’ve listed can be easily sourced in the supermarket or found in a variety of natural skincare products. Though it’s important to remember that when buying beauty products, be sure to read the ingredients list to avoid harsh chemicals on your skin - as this would effectively cancel out any benefits of their natural ingredients. Does this all sound daunting? It doesn’t have to be! Learn more about how you can achieve a healthy glow naturally, with minimal effort.